Your indoor marquee will renew a tired interior to give a sophisticated event venue. Indoor marquee hire is exactly the same as any other except it is inside your building this could be a storage area, barn or even a village hall. Impress your guests with your dressed venue after a tour of your business premises. Launch your business products or showcase merchandise onsite to save costs and time. Celebrate your business success by rewarding your staff in a corporate marquee. Host and entertain corporate Christmas parties. Ground hire costs (unless you decide to hold your event off-site). Generators, fuel, coolers and heating costs. To find out if your premises are suitable contact us with your requirements using our Event Quote Form. Add Style to an old wedding venue. Wedding marquees inside your venue will instantly amaze your guests upon entering the building as they are transported to your fairytale setting. You and your guests will still have all the comforts of an outdoor structure being staged inside. This all year round solution will provide you with the comfort of your event being held inside. University dining areas and Schools halls. We use only clear span marquee structures conforming to British Safety Standards which are also fire retardant to all European standards. 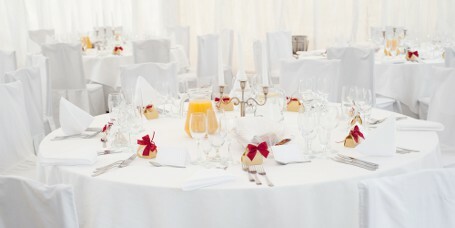 Get your event quote and arrange a site survey to find out if your venue is suitable for indoor marquee hire. “Thank you for bringing our ideas to life, the contrasting furniture and lining really worked”. Add to your unique in house venue. Using a combination of drapes, props and lighting we can create a tailored theme for you and your guests to enjoy. 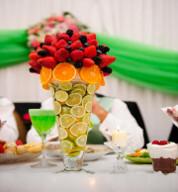 Get prices for your venue dressing service.